Historically, Paris has been viewed as the fashion capital of the world. For many upcoming Chinese designers seeking to make an international imprint, however, New York is the place to be. Just a few years ago, there were only a few Chinese designers represented at New York Fashion Week. Now there are more than a dozen — all hoping to make their mark in the fashion capital of the world’s biggest economy. Chinese designer Wang Tao, known as the “Queen of the Suit” staged her first runway show for her brand Taoray Wang at New York Fashion Week in September 2014. She’s now gearing up to open a store in the city. She said she chose New York over other fashion capitals because it’s a city for the ambitious. “I always liked to design for the career woman who played a leading role in the field of business, the law and government. And so I just think New York is a very natural market for the position of the brand,” Wang said. The Big Apple is also a media capital — offering maximum exposure for an up-and-coming brand. But Wang said it’s not just about showing her clothes on the runway. She’s investing in New York as a base to attract local customers. It’s the same for Chinese brand Lanyu, which has a permanent showroom in New York and is looking to open a store as well. “New York is more accepting and as a foreign brand, I think, we have a better chance to survive and thrive here,” Nicole Zhao, the CEO of Lanyu said. Fashion expert Tyrone Farley says New York is also attractive to Chinese designers because many of them have attended the city’s numerous fashion schools. There are also several organizations that can help a new label get its start. “These organizations help you put on your show and it’s free and some of them turn out to be successful. Two of the big names: Alexander Wang and Altuzarra,” said Tyrone Farley from TrueFashionistaNow.com. Many of the new Chinese designers in New York are pinning their hopes on one day having that same kind of name recognition. 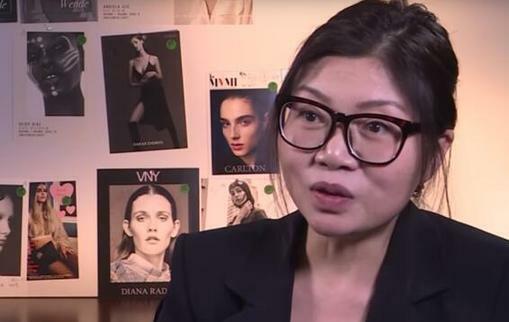 For more about the inspiration behind her work and perceptions of Chinese designers abroad, listen in on CGTN's interview with Wang Tao, founder, CEO and chief design officer at Taoray Wang.